We've added a new section to display images taken by members with their mowers. This was inspired by the late Tony Hopwood who had the idea when he was our club chairman a few years ago. 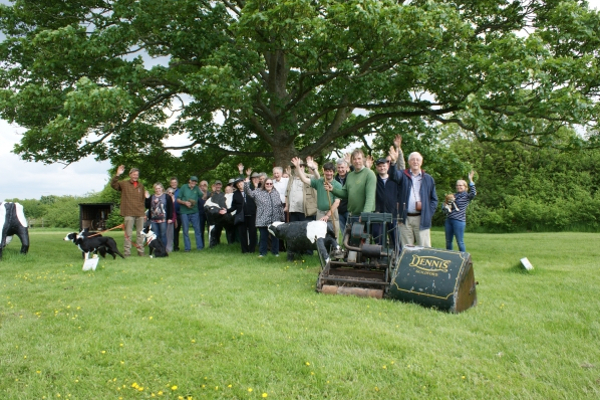 Tony's idea was very simple: members would visit an interesting or unusual venue - the sillier or more famous the better - and be photographed with a mower from their collection. These photos would then be published on the website with details such as the location to highlight the wackier side of mower collecting. A few committee members have already uploaded some images to get the ball rolling but any full member of the club can add their own. We think it's a fitting memorial to Tony and his idea. Here's a shot of some club members at the recent annual rally alongside the world-famous concrete cows at Milton Keynes Museum. Click here to see the images. Club member John Barnard's lawn mower shed - Lawnside House - at his home in Cheshire has been shortlisted in the Workshop/Studios category in the annual Shed of the Year competition. The organisers of the competition - www.readersheds.co.uk - have now opened the public vote to find the winner but you'll need to be fast because voting closes at midday on Wednesday 8 June. The winner in each category and the overall champion will be announced on the Channel 4 TV programme "Amazing Spaces Shed of the Year" later this summer. 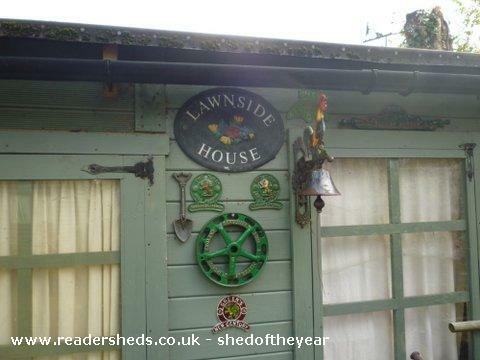 Click here to cast your vote for Lawnside House and help make John's shed the winner. You can also read more about John and his collection and see a selection of images on the site. 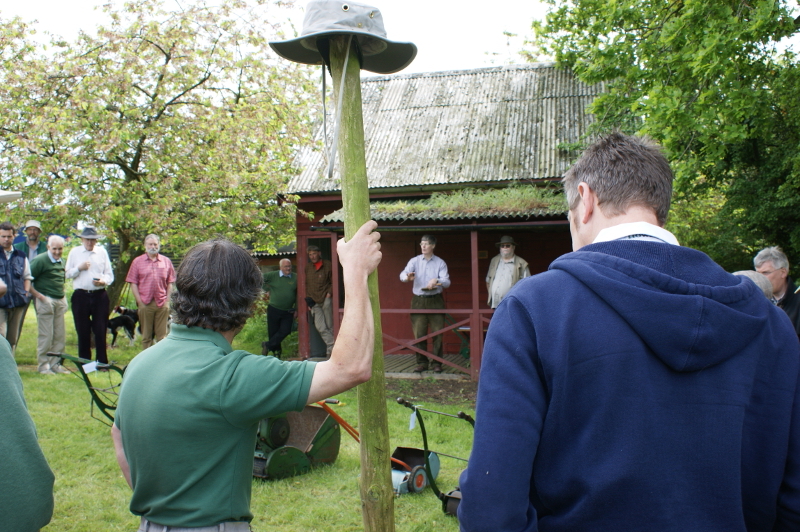 John was one of the Old Lawnmower Club's founding members and he has also served on the committee since its inception. He has a large collection of mowers, many of which are highly unusual and have been lovingly restored by John using his expertise and experience as an engineer. He's already been filmed by the programme-makers and posed for photographs ready for the Channel 4 series which will be broadcast later this year. Don't forget, you need to vote by Wednesday 8 June. 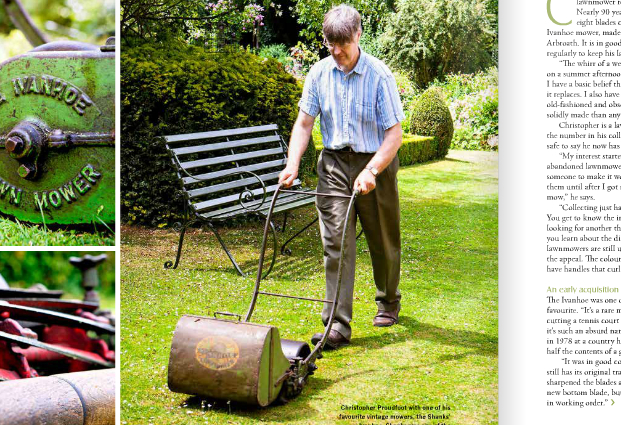 This month's edition of Landscape magazine features club member Christopher Proudfoot who explains more about his collection and fascination with lawn mowers. Christopher, who is also a committee member, will be at our annual rally this coming weekend.